Lucia image courtesy Contemporary Films Ltd.
Film series: Cinema ’68, the new season of the free film series at the Art Gallery of NSW, marks 50 years since the events of a remarkable moment in time – the year 1968 – radically reshaped the social, political and cultural global landscape. Curated by AGNSW assistant curator of film, Ruby Arrowsmith-Todd, the new film series highlights the decolonisation movements, civil rights marches, mass opposition to Vietnam and rebellions against dictatorships, that were reverberating across the globe at the time. “From Hong Kong to Helsinki and from Mexico City to Malaysia, in 1968 protests, strikes and revolution ripped apart the East-West divide. Prague was invaded, Tokyo students took to the streets and Paris burned,” Arrowsmith-Todd said. Cinema ’68 offers a genre-spanning cross-section of this remarkable moment in time when cinema experienced a parallel reinvention. It is from this treasure trove that the films for Cinema ’68 have been selected. 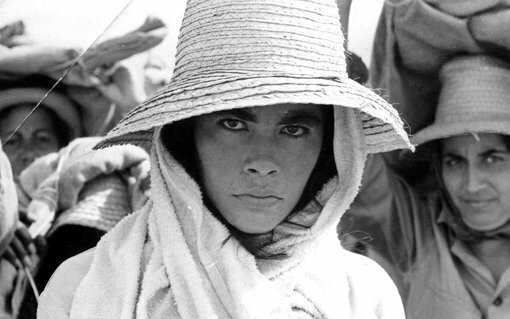 “Cinema ‘68 brings together ten landmark films released in 1968 that showcase the singular visions of post-revolutionary Cuban cinema, Japanese nūberu bāgu, the Italian spaghetti western and more,” Arrowsmith-Todd said. During 1968, under the banner of New Wave movements, new filmmaking talents boldly decentralised international cinema’s established centres of gravity. In Latin America and Africa, the first stirrings of Third Cinema decried colonialism; in Eastern Europe, artists rebelled against the strictures of social realism; and in South East Asia, the national cinemas of Singapore and Cambodia entered their golden ages. “Apart from their production date, the selected films share a fascination with memory. These highly varied stories about mythology, lost arts and zombies remind us that – even in 1968 – the present moment was never immediately at hand, but expectant with its future, and haunted by the past,” Arrowsmith-Todd said. 2/6 May – Shame (Ingmar Bergman, Sweden, 1968, 35mm).